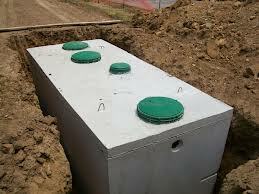 If your property did not allow installation of a conventional septic tank and your aerobic system is broken or malfunctioning. 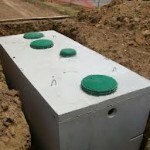 Call Big Bexar Septic for your Aerobic Septic System Repair needs. The ground in South Texas in some cases has only a foot of dirt before you hit solid limestone rock. If you’ve ever planted a tree and experience this type of soil on your property you most likely have or need an aerobic septic tank system. Rather than a lateral conventional septic tank system. A common problem with aerobic septic systems is an electrical failure of the spray pump or aerator. If your spray pump fails in your aerobic septic system speedy repair is highly recommended. If the aerator is malfunctioning or the sprayers stop spraying your septic tank does not make water or function normally. Regular maintenance such as chlorine tablets are required and a scientific approach is best used when a septic tank is malfunctioning. Blockage in the plumbing inside the house or structure can cause backup issues. Knowing where your cleanouts are will be helpful for the septic tank technician that visits you. If you do not have cleanouts you may consider having them installed as overtime this will decrease your maintenance costs for your aerobic septic system.